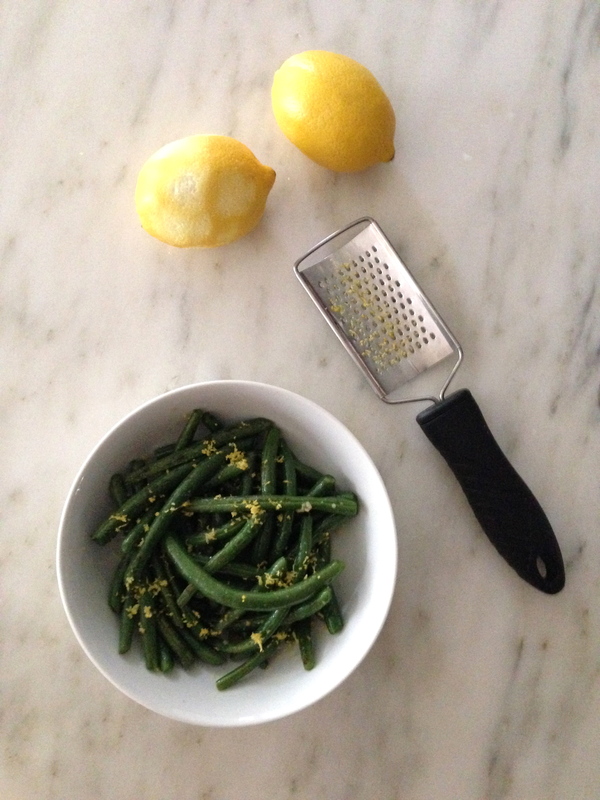 This is a simple and delicious green bean recipe with a “garlicky-lemony” flavor! It is a great vegetable side dish for meat, chicken or fish. People who are vegetarians or on gluten-free diets can enjoy this green bean dish as well! Steam green beans until bright green and slightly crispy. Remove from heat and set aside. Add green beans and sauté for about 2 minutes. Add salt. Take off heat. Place beans in a serving dish and sprinkle lemon zest. Serves 4.